The Naloxone drug is predominantly used across emergency rooms in the U.S. to treat life-threatening opioid overdoses. FDA’s change clears the way for pharmaceutical companies to sell Naloxone without a prescription. 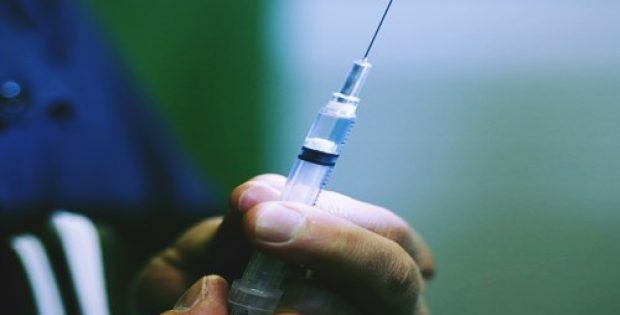 The U.S. Food & Drug Administration (FDA), has reportedly announced that it would be clearing the way for pharmaceutical companies to boost access to and reduce the cost of Naloxone, a life-saving drug that is used to reverse opioid overdoses. Reports cite, the change would be enabling pharma companies to manufacture an over-the-counter version of Naloxone, that has been criticized to be prohibitively expensive and hard to purchase. According to a press release by the U.S. FDA, treatment & prevention of opioid overdose is of high priority and increasing the availability of the medicine for treating overdoses in an emergency situation is a crucial step. One feasible way to improve access to the drug was to allow drug manufacturers to develop a readily available over-the-top version. The Commissioner of FDA, Scott Gottlieb stated that the Naloxone is an important drug to help reduce the instances of opioid overdose-induced deaths. Gottlieb further stated that facilitating appropriate treatment to opioid overdose is of top priority and improving the Naloxone availability for emergency situations is a crucial step. The drug, currently sold in the form of a nasal spray and an injection, is extensively used across emergency rooms in the U.S. to reverse overdose from opioids such as heroin or pain medications like Fentanyl, Percocet, Vicodin and OxyContin. The drug binds itself to the brain’s opioid receptors and blocks the opioid’s effects, reversing the overdose in two to five minutes. Naloxone manufacturer, Kaleo Inc., currently provides a Naloxone injection, Evzio at about $4,100 per dose. Kaleo further plans to roll-out a generic Evzio version that costs over $178. Meanwhile, a two-pack naloxone nasal spray, Narcan is sold at $125. A generic naloxone is priced at about $40 per dose. According to reports, the FDA is also trying to reduce costs even more and boost consumer access by designing easy-to-understand labels for over-the-counter versions.